The following communiqué from the Shuar Indigenous organization Pueblo Shuar Arutam was presented at a press conference in Quito on Wednesday in response to the presence of Mr. Elvis Nantip, President of the Interprovincial Shuar Federation (FISCH by its initials in Spanish) at the Prospectors and Developers Association of Canada event in Toronto on Monday. Many other Indigenous, environmental and human rights organizations in Ecuador have also joined onto this statement, as listed further below. Further to this, on Tuesday, the Ecuadorian Federation of Kichwa Peoples (Ecuarunari) submitted a complaint to the General Attorney's office raising concern about the granting a total of 2.9 million hectares in mining concessions from late 2016 through 2017 (equivalent to more than 13% of national territory under mining concession, up from roughly 3% as of early 2016). According to Ecuarunari, these mining concessions threaten protected forests and other fragile ecosystems throughout the highlands, and were granted without the free, prior and informed consent of affected Indigenous peoples and without prior consultation according to environmental rights recognized in Ecuador. 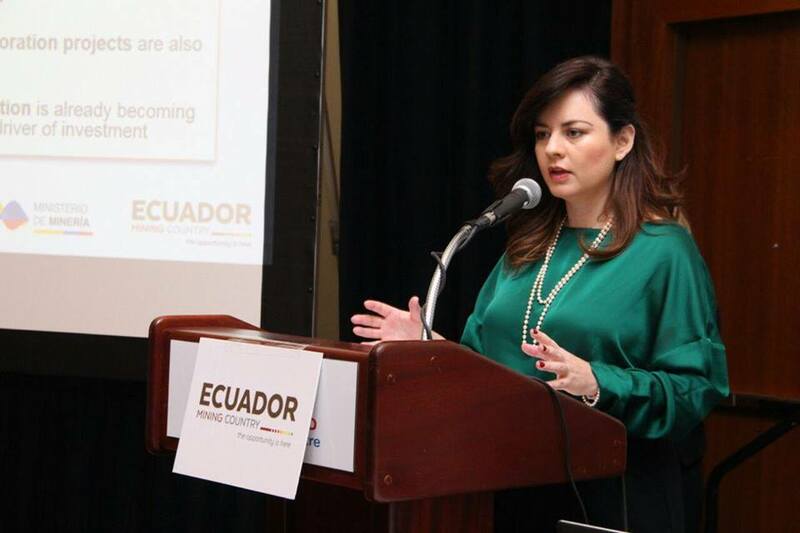 The same complaint points out that current Mines Minister Rebecca Illescas was Vice Minister throughout this period and calls for her to be investigated for perjury and illicit gain based on differences observed between assets she declared to the Comptroller General and property registered in her name in the municipality of Quito. The Shuar Arutam People (Pueblo Shuar Arutam) live in the Condor mountain range on the banks of the Zamora, Santiago and Kuankus Rivers in the counties of Gualaquiza, San Juan Bosco, Limón Indanza and Tiwintsa in the province of Morona Santiago and our communities are directly affected by mining activities. In our territory, there are 47 community centres with more than 2,000 families living in an area of 230,000 hectares. The estimated population is 13,000 people. Despite our clear opposition to mining on the basis of collective rights enshrined in the Ecuadorian constitution that recognizes Indigenous peoples, in our territory there are mining projects being undertaken in San Carlos Pananza and Warints operated by the companies ExplorCobres (owned by the Chinese consortium CRCC Tongguan) and Canadian company Lowell Copper (now Equinox Gold) respectively. The presence of these mining companies on our territory without our prior consent has given rise to serious socio-environmental conflicts. On August 11, 2016, the Shuar community of Nankints was raided by approximately 2,000 military and police who evicted families from their homes at gunpoint, destroying their things, killing their animals and obliging the entire population to leave. The eviction was undertaken without due notice or prior agreements in violation of our right to our ancestral territory and the right to not have Indigenous territories become militarized. According to those affected by this incident, 10 Shuar homes were destroyed in order to build a new mining camp for the workers of ExplorCobres, as well as temporary camps for members of the armed forces, whose role is to protect the project area. This incident has led to a serious deepening of social conflict in the area. As a result of such mining conflict, a police officer was unfortunately killed and 10 people were injured by police and members of the Shuar people. As a result, the area was also militarized with war tanks and helicopters, and a state of exception declared in the entire province for 30 days, which was later extended to 60 consecutive days. The declaration of a state of exception meant the suspension of civil and political rights, and as a result, the homes of members of the Pueblo Shuar Arutam and the Interprovincial Federation of Shuar Centres (FISCH by its initials in Spanish) were raided and a number of Indigenous leaders persecuted. Given this recent history, we are angered to read in the media and on social media that Mr. Elvis Nantip, President of the FISCH, traveled to Toronto, Canada as part of a delegation led by the Mines Minister to promote mining activity on Shuar territory. Considering this, we reaffirm the position of the Pueblo Shuar Arutam that has made a decision through its general assembly to oppose large scale mining in our territory. We call upon the national government and the mining companies to not be fooled by the presence of Mr. Nantip; the Shuar communities of the Condor mountain range do not accept the presence of industrial mining activity on their ancestral territories and continue to firmly oppose them. We also recall that only the legitimate leadership of the Pueblo Shuar Arutam can serve as its spokespeople in accordance with the mandate issued by the general assembly and the policies of the Confederation of Indigenous Nationalities of the Ecuadorian Amazon (CONFENIAE) and the Confederation of Indigenous Nationalities of Ecuador (CONAIE).